Challenge. This photo was taken at the Award Presentation which took place on Saturday 22nd of September at Bromley Central Library. Sophia received her award from the Mayor of Bromley! Sophia (and her older sister Maya) were both selected as recipients of the above award and were two of just 6 children selected to represent Bromley Central library. 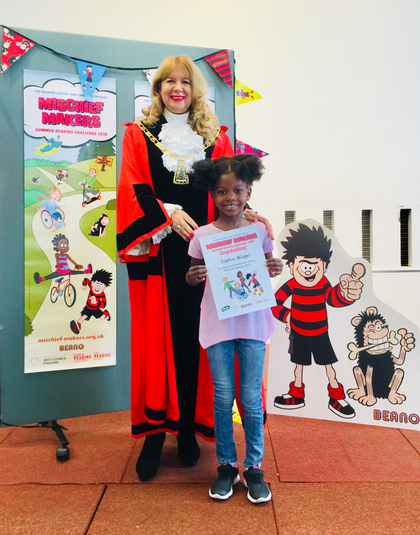 We understand that approximately 1,500 children in Bromley completed the challenge and just a handful of children from each Bromley library were awarded. Well done Sophia and Maya - we're very proud!! Well done to Henry in Badger Class whose fantastic drawing of a mantis for the Fourth Plinth Awards was chosen as a winning design. Henry and his family attended an awards ceremony at the Mayoral Chambers where he was presented with his award by artist David Shrigley. You can see a photo of Henry below with David Shrigley and Justine Simons, Deputy Mayor for Culture and Creative Industries. 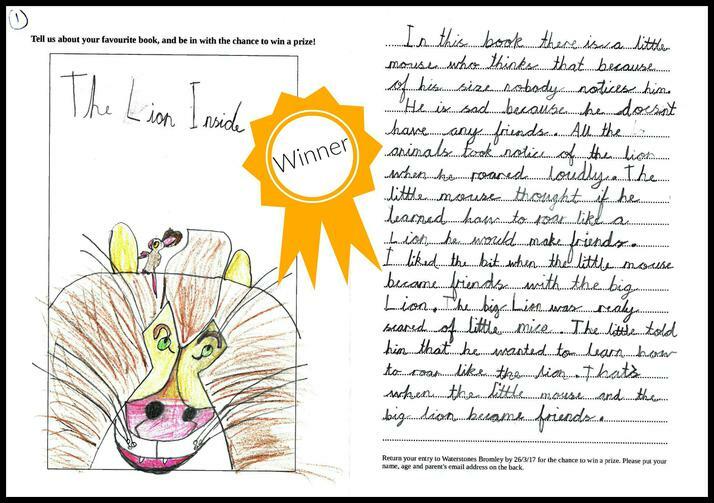 Congratulations to Aria in Owl Class who won first prize in a Waterstones Competition to write about your favourite book. They thought Aria's description was 'amazing' and we completely agree!